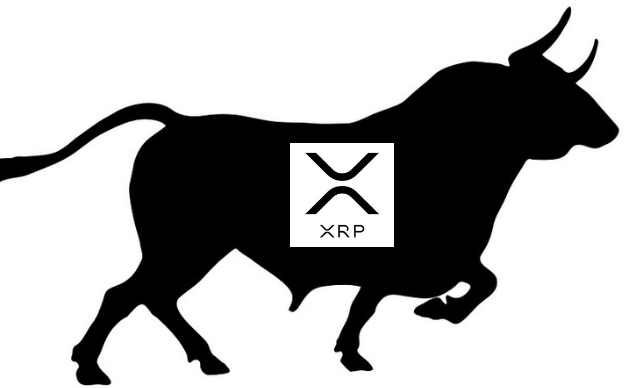 XRP Beats Ethereum In Market Cap As It Kicks Off A Surprise Bull Run – Is Bitcoin The Next Target? XRP is rocking the news space again, and this time around, it’s about its price and overall market standing. Of late, there has been a lot of speculation about both the short-term and long-term future of the popular cryptocurrency. After months of great news as the crypto scored major exchange listings, something was bound to happen in the end. On Monday, news broke that XRP would be supported by Wirex as an Apple Pay option. Such news was bound to cause a market event, given the advancements in adoption the crypto has made in the last few weeks. Ultimately, this latest news turned out to be the last button that launched the Bull Run. The upscale saw the crypto gain by over 18% to breach the $0.5 barrier and cement a new support level at $0.53-$0.54. Still, most people expect the price to shoot up much higher. There are some analysts who put XRP’s final point at $10 – $15 by year’s end. However, it’s not to be forgotten that XRP has previously set out on its own bull run and later dropped back to its support levels. But this time might be different. Given the predictions from various crypto experts and the general market mood, the cryptocurrency might be headed to a higher place this time. Also, the timing favors this prospect. People have always anticipated a massive market rally to happen during the final months of the year. One of the most noticeable facts about XRP’s change in the market is its growing market cap. The cryptocurrency then briefly edged out Ethereum to stand at position 2 in the market in terms of market cap, . That begs the big question: Could XRP be on the way to surpass Bitcoin too? What if it did? Ultimately, XRP is bound to attract even more attention as it digs in to maintain the new support level and probably achieve new price milestones. As a matter of fact, it’s hard not to expect such outcome as the crypto scores more major listings and gets adopted by various large financial institutions across the world.